The Commission de la santé et de la sécurité du travail (CSST) is the government insurer for Québec’s workers and employers. Victims of work-related accidents or diseases are compensated and have access to financial support, medical aid and rehabilitation services. 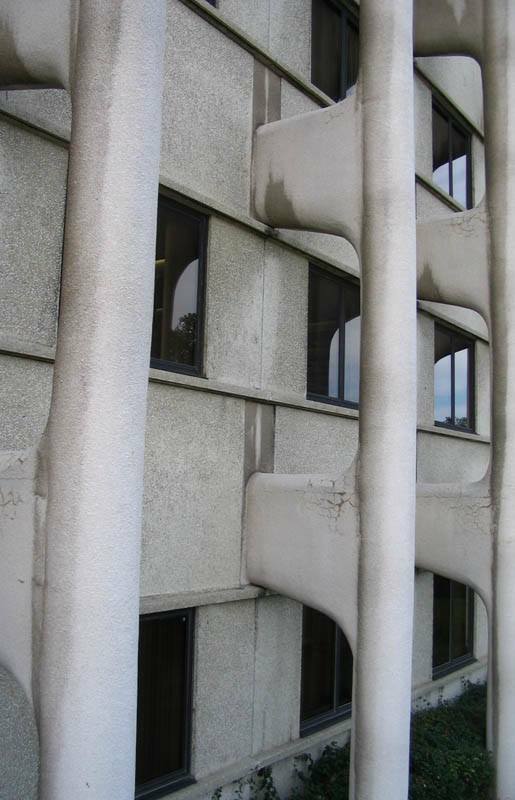 The building housing the head office of the CSST in Quebec City was built in the late 1960’s. The building envelope is made up of precast concrete panels with exposed aggregate and the beams and columns are exposed to outside environmental conditions. 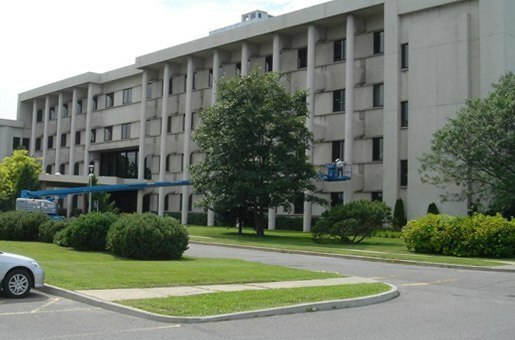 Following an inspection by the managers of the building, some deterioration was observed and the CSST wanted to more accurately assess the current condition of the wall panels and exterior columns in order to adequately plan interventions required for these elements as part of a rehabilitation program. As concrete durability experts, SIMCO’s scope of worked consisted in performing a thorough investigation of the different architectural and structural elements in order to provide cost-effective solutions to extend their service life. The investigation included the identification of the causes of degradation, the development of necessary repair and maintenance operations, the prioritization of interventions and the estimation of repair costs. SIMCO’s scope of work consisted in a visual inspection whereby cracking and concrete spalling were observed. In addition, aesthetic problems were also reported, due to apparent dark (black) traces and deterioration level of the joints. The condition of the exterior beams, columns and precast concrete panels were evaluated further. Inspections using a man lift for the upper sections, and inspections of the underground level columns and wall panel anchors were also conducted. The investigation included concrete characterization tests to more accurately assess the causes of cracking and deficiencies observed. Analysis results were used to determine the most cost-effective repair solutions in order to ensure a maximum durability of the different structural and architectural elements of the building. A detailed plan of repairs and maintenance required and total associated costs were provided to the CSST, including the recommended prioritization of interventions. This information was used to develop a rehabilitation program and to determine the required budget. A detailed plan of repairs and maintenance required, as well as total associated costs were provided to the CSST, including the recommended prioritization of interventions.